Fluffy and funny, Furry and friendly! The Happy Easter Bunny wishes you all the best this chocolate egg covered Holiday! 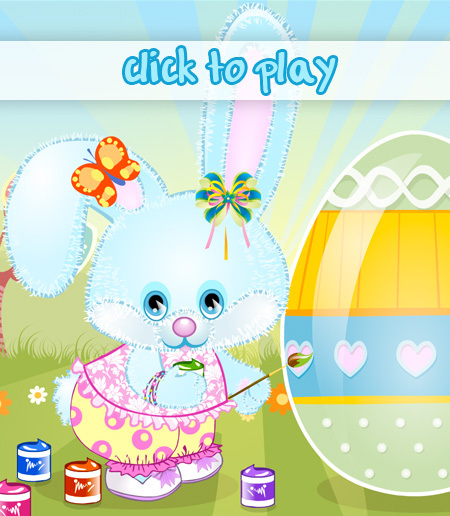 Why not dress him up in all sorts of adorable outfits and take a crack at helping him decorate this magical and colorful egg!